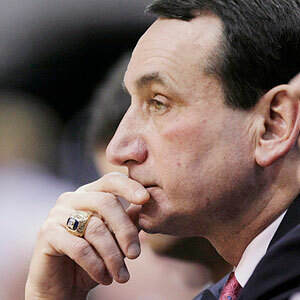 It’s college hoops time again, and I may be weird, but I enjoy watching the coaches as much or more than the players. I love strategy, and as a former youth coach myself, I love to analyze (and, yes, sometimes second-guess) the decisions coaches make. Coaching is leadership and as leaders we can learn a lot by watching good coaches. As a Christian leader, I don’t see myself as a leader. I see myself as a servant who happens to lead. God calls all followers to serve. He calls some servants to lead. If you can serve best by leading, and that is what God has called you to, then, by all means, lead, with diligence! (Romans 12:8). But if you can serve better in some other fashion, or if someone else can lead better than you, or if God has not called you to lead, then serve in some other way – with diligence! Leaders after God’s own heart, like David, are often the last ones considered by human standards. But God doesn’t look at what man looks at. He looks at the heart (1 Samuel 16:1-13). And the heart of any real spiritual leader is a servant’s heart. 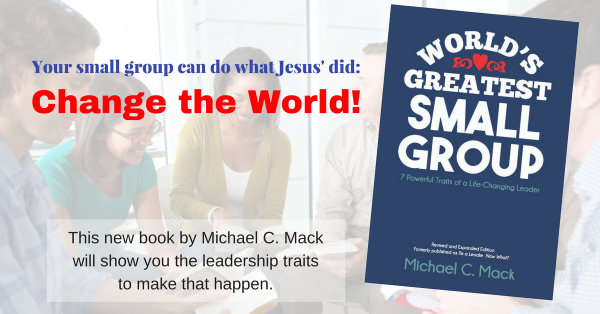 How are you serving your small group? Great perspective! It's not about the tasks we are undertaking, it's about how we leverage those tasks to touch and minister to people. Thanks, Mason. Appreciate your feedback!